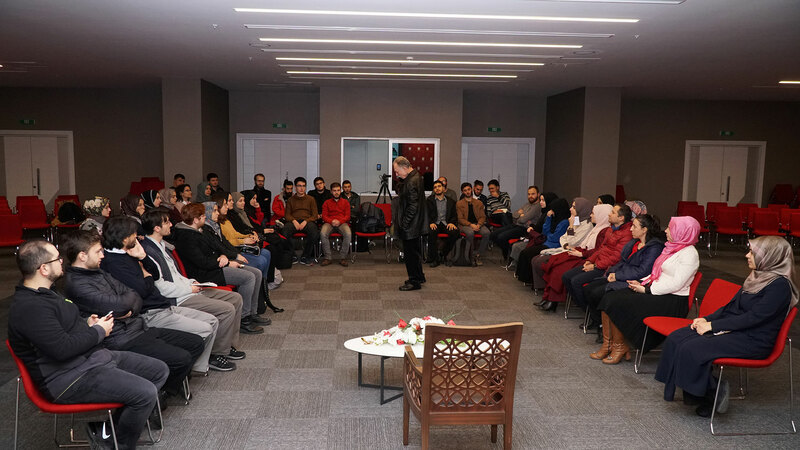 Faculty member of Philosophy Professor Teoman Duralı talked about “My life that is not in my CV” at Honor Meetings, organized by the Honor Program, on Monday, December 3. One of the first names that come to mind when it comes to philosophy in our country is Professor Teoman Duralı. 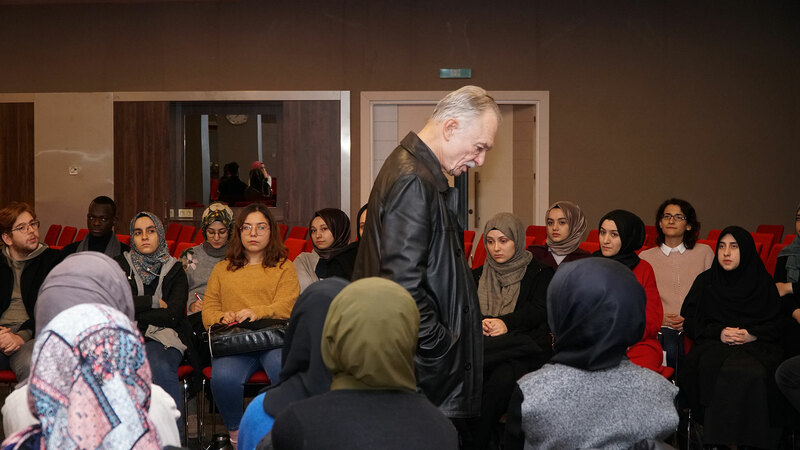 By giving lessons in 16 universities Professor Teoman Duralı contributed effectively in raising influential names in the Turkish intellectual life. Professor Duralı’s recently published books and articles on philosophy in the 38th Version of “Kutadgubilig,” Philosophy and Science Research Journal, also have an important role in obtaining a center place of the journal in Turkey. 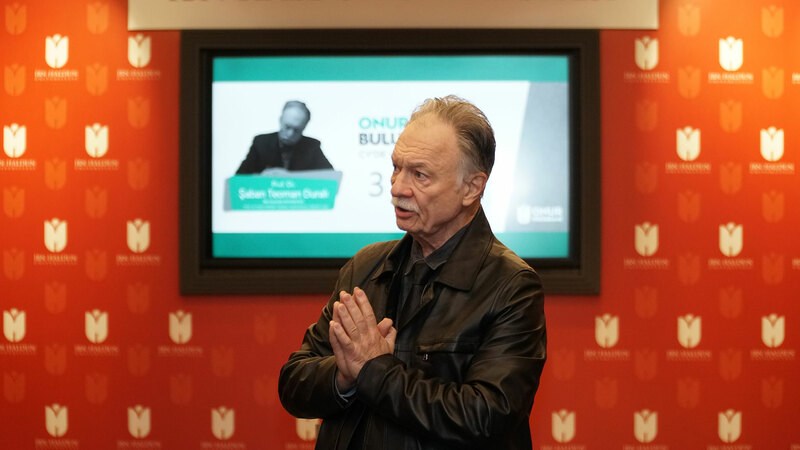 Professor Duralı, who has enriched the Turkish public intellectual perspective by analyzing today’s global civilization systematically and philosophically, is successfully representing Turkey in the international philosophy community as well. Professor Duralı, who completed his doctorate in 1977 and participated in biotechnology seminars in Paris in 1978 with NATO scholarship. In May 1982, he became an Assistant Professor, and in October 1982 with a thesis on biology he became an Associate Professor. Professor Duralı, is still pursuing his lectures and academic researches at the Department of Philosophy at Ibn Haldun University. 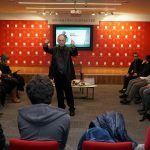 In “My Life that is not in my CV,” Professor Teoman Duralı shared with the audience the main sections of his life since his birth. 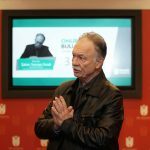 Duralı, who was born on February 7, 1947 in Zonguldak town of Kozlu, stated that he had started his primary education in Çatalağzı, Zonguldak. Professor Duralı mentioned that before starting school in Çatalağzı, “It was the days of reaching the peak of happiness,” Prof. Teoman Duralı clarified that this is the effect of the geography, stating that the first landscape in his life is forest and sea and his favorite colors are intertwined blue and green in Çatalağzı. 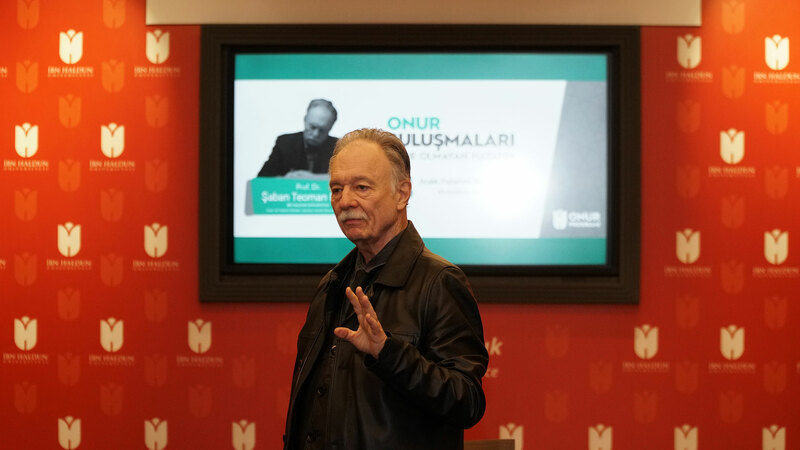 Stating that he has not had a healthy relationship since the beginning of his life with the idea of “​​school,” Professor Duralı said that he had donated his life to the school, which he could never love, after Professor Nermi Uygur offered him assistantship while he was studying at Istanbul University. 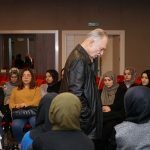 The writer of “The Sea and Discovery,” poem-memory book, Professor Duralı said that he had dreamed of being a sailor, going to Norway and practicing the role of a captain. Stating that he had a special interest in the Turkish language since childhood, Duralı added that he worked for a long time in ancient Turkish, Göktürkçe “Old Turkic language” and Uyghur language. 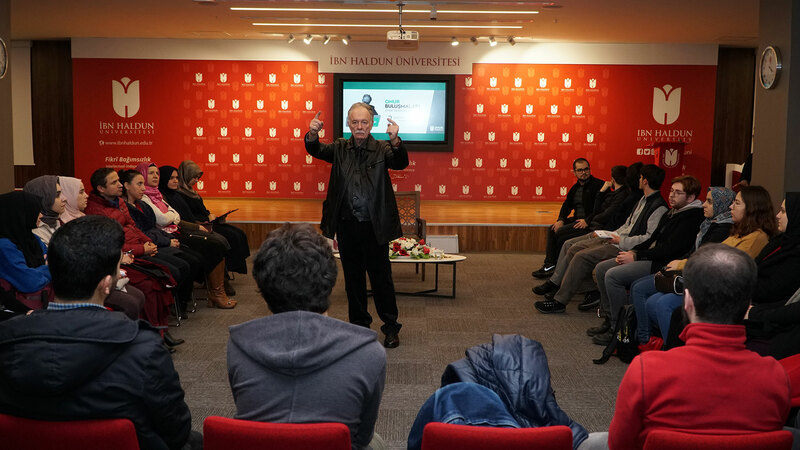 According to Professor Teoman Durali, the beauty of expression can be attained by revealing that Turkish is able to obtain the power of expression with the noble vocabulary that has survived to the present day through the centuries. At Honor Meetings, Professor Teoman Duralı also pointed out attractive subjects like: Turkey in 1940-1950, Cultural impact of May 27, 1960’s coup, Extent of interest in Africa, The learning adventure of Swahili language, His feelings about the city of Ankara and his academic field’s interests.